Today's post will be the first of three posts about certain types of Energy. Recently, I wrote three songs to help students learn about energy. In their classrooms, students were learning about energy we get from water, wind and the sun. So, today I'll share my song about Wind Energy. But, wait! That's not all! Here's the song! Stay tuned for Solar and Hydro Energy! Wind in the air, Wind in your hair. We can feel wind everywhere. Wind is a source of energy. It moves, so it has kinetic energy. The energy in wind is converted into other forms by machines. These machines are called wind turbines, you see. and then the energy is converted into mechanical energy or electricity. St.Patrick's Day...is on Thursday, but I wanted to share this song a couple of days before so that people would be able to use this song. To celebrate the day of green, here's a song that mentions several things that are a part of this holiday. I hope you enjoy it and feel free to share other songs you like to use on St. Patrick's Day! Shamrocks and 4 leaf clovers too. Leprechauns with gold and rainbows too. I will wear something green today. Today we celebrate St. Patrick's Day. No one will pinch me! Today's song is about sizes: Big and Small. At times it can be challenging to teach sizes to children. I find that using visuals and having plenty of repetition in sorting sizes works well. I put this song together at the request of a teacher. I also created a visual to go along with the song so that the students can see the sizes of things we are comparing. They lyrics are posted below. Some things are big. Some things are small. We're learning sizes: Big and small. I see a bean. A bean is very small. Oh a bean is small, you see. Then a watermelon comes along. It's a big one, you see. Oh the watermelon is big, you see. I see a fish. He's a teeny tiny fish. Oh the fish is small, you see. Then a whale swims along. He's a big one, you see. The whale is big, you see. I see a marble. It's small and round. Oh the marble is small, you see. Then a ball rolls along. It's a big one, you see. Oh, the ball is big to me. Today's Wonderful Website is a great resource in the Music Therapy world! 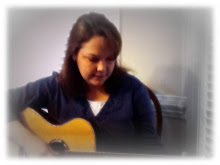 It is a website by Michelle Erfurt, who is also a board-certified Music Therapist. Michelle's website is called Erfurt Music Resource, and is a great blend of music related products, services and information. It's a great site where you can read about various Music Therapists (as well as other Music Educators and additional Arts related therapies), and the services they offer. All of the services promoted on her site involve individuals who are currently active and have something to do with music. I highly recommend you stop by and check out all Erfurt Music Resource has to offer! Thanks for stopping by! New song posts coming soon!